San Francisco’s Local Coastal Program Amendment was approved by the California Coastal Commission on May 10th, 2018 and is now in effect. The amended plan can be found here. The San Francisco Coastal Zone extends approximately 6 miles along the western shoreline, from the Point Lobos recreational area in the north to the Fort Funston cliff area in the south. The Local Coastal Program Amendment is an update to the 1986 Western Shoreline Area Plan that will specifically address sea level rise and coastal erosion concerns along the area. Portions of San Francisco's dynamic Ocean Beach – particularly the area between Sloat and Skyline boulevards – have experienced substantial erosion over the past few decades. Shoreline erosion has already damaged the Great Highway and beach parking lots and threatens to damage critical wastewater system infrastructure. Sea level rise and the increased frequency and severity of coastal storms anticipated due to global climate change will likely exacerbate these effects in the decades to come. The Local Coastal Program (LCP) is a policy and regulatory document required by the California Coastal Act that establishes land use, development, natural resource protection, coastal access, and public recreation policies for San Francisco's Coastal Zone. 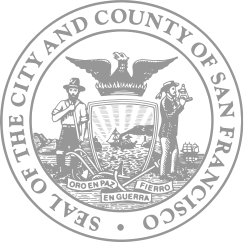 San Francisco's Local Coastal Program was originally certified in 1986. The policies of the LCP were incorporated into the Western Shoreline Area Plan, the element of the General Plan that establishes land use, development, and environmental policies for this area. However, the Western Shoreline Plan is now 30 years old. In 2015, San Francisco Planning secured funding from the California Coastal Commission and the Ocean Protection Council to lead the effort to amend the Western Shoreline Area Plan, specifically to address climate change, sea level rise, and coastal erosion concerns. Using the best available science, San Francisco is amending its Local Coastal Program to provide for long-term resiliency by balancing environmental resources, maintaining coastal access, addressing community needs, and protecting our investment in public infrastructure, such as roads and wastewater treatment facilities. The LCP amendment will cover the entire Coastal Zone, but implementation will largely occur south of Sloat Boulevard, where coastal vulnerabilities are most acute. The LCP Amendment will define the City's approach for implementing the sea level rise and coastal erosion recommendations in the Ocean Beach Master Plan (OBMP), an interagency effort to develop a sustainable long-term strategy for Ocean Beach. The Plan represents the cooperation and involvement of SPUR, San Francisco Planning, federal, state, and local agencies, and community stakeholders in addressing seven focus areas: ecology, utility infrastructure, coastal dynamics, image and character, program and activities, access and connectivity, and management and stewardship. 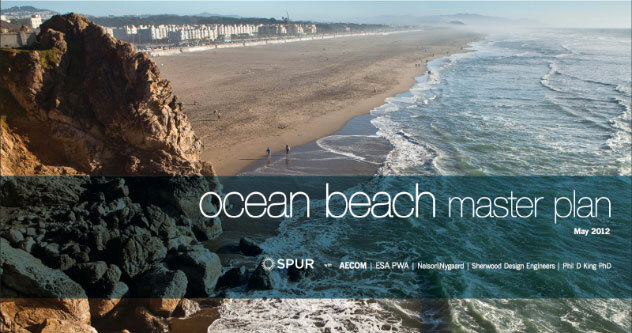 The City's plan for Ocean Beach must be adopted by the San Francisco Planning Commission and Board of Supervisors prior to review and certification by the California Coastal Commission as an amendment to San Francisco's Local Coastal Program. *Because of the urgent need for action, this Local Coastal Program (LCP) amendment will only address implementation of the master plan recommendations related to sea level rise and coastal erosion (Key Moves 1 and 2). Master plan recommendations not addressed in this LCP amendment are anticipated to be addressed in future amendments. Extensive community outreach and involvement has and will continue to take place throughout this process, including several public meetings and a Community Advisory Group. Significant time is allocated for public review periods for the proposed new policy and the public hearings conducted by the San Francisco Planning Commission, Board of Supervisors, and the California Coastal Commission. SPUR will maintain its advisory role in the LCP amendment process, including recommending strategies for the continued involvement of stakeholders and ensuring continuity with the master plan process. SPUR will also provide data and analysis from the master plan and participate in policy development. Since the Project Launch in fall 2015, there have been a series of public meetings and hearings conducted by both San Francisco and the California Coastal Commission. The San Francisco Coastal Zone extends approximately 6 miles along the western shoreline from the Fort Funston cliff area in the south to the Point Lobos recreational area in the north. The south end of the Coastal Zone includes the Lake Merced area, the Zoo, the Olympic Club, and the seashore and bluff area of Fort Funston. 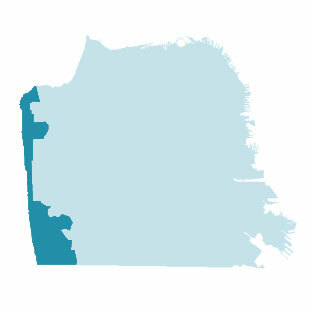 The Coastal Zone spans the Ocean Beach shoreline and includes Golden Gate Park west of Fortieth Avenue, the Great Highway corridor and the adjacent residential blocks in the Sunset and Richmond districts. The north end of the seashore includes the Cliff House and Sutro Baths area, Sutro Heights Park, and Point Lobos recreational area. Now that the LCP Amendment Planning process has concluded, San Francisco Public Utilities Commission (SFPUC) will be the lead agency in the implementation on this effort. To sign up for updates on next steps, please email the contact below with your interest. The LCP Amendment is largely funded by a grant from the California Coastal Commission and the Ocean Protection Council.